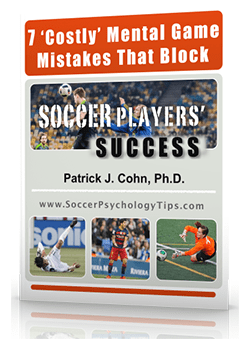 Must-win games can make a soccer team rise to the challenge or succumb to the pressure of the moment. The focus on the potential result of the game shifts your mindset into “play not to lose” mode. From the start of the game, you are tight and find it difficult to get into the flow of the game. This is definitely the mindset that dooms you to fail. This positive mindset is the “just go for it” mindset. This positive mindset is based on the understanding that the game is yet to be determined and anything can happen during the game. The “just go for it” mindset frees you up to play out your game strategy without being over-analytical, meaning you just play the game the way you normally play the game when there is less pressure. The “just go for it” mindset was the mental approach utilized by the U.S. Men’s National Team in their must-win World Cup qualifier against Honduras. This was a critical game for the US who was in danger of being eliminated from the World Cup. Instead of playing not to lose, the USMNT dictated play from the opening whistle and kept their foot on the gas for the entire game. The US squad scored five minutes into the game and added five more goals to win 6-0 and keep their hopes alive for an automatic bid to the 2018 World Cup in Russia. The victory vaulted the US from last place to fourth in the standings of CONCACAF’s six-team final round of qualifying and improved their tie-breaking goal differential. What an amazing example of how a positive mindset can boost performance in must-win situations. Veteran goalkeeper Tim Howard summed up the US squad’s mentality in the days leading up to the game. Howard’s quote sums up the “just go for it” mindset perfectly. This mindset is a mindset of confidence. If you talked to yourself in this manner prior to and during critical games, imagine how much freer you would be to play at your peak. Tip #1: Give yourself a mental pep talk. Identify reasons for WHY you WILL play well. Argue for your abilities rather than cast doubt on your ability to perform in must-win games. Tip #2: Treat every game as a must-win game. If you approach every game with the same importance, you will normalize the sense of pressure associated with must-win situations. By making the “just go for it” mindset a habit, you will improve your consistency in must-win games. 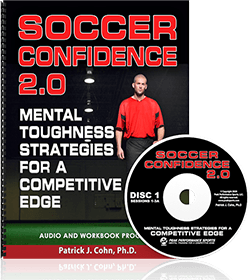 Does your confidence seem to disappear when you go from practice to games and don’t know why? Do you get nervous and anxious in big games or when you are under a ton of pressure? 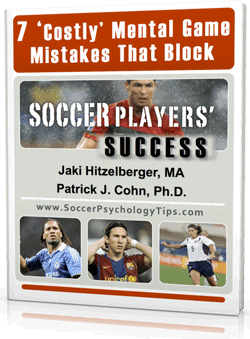 Do you get so frustrated when you make a bad pass which causes your confidence to sink?